Snoring – Does it Actually Put You at Risk of Cancer? With the growing number of cancer patients and sleep apnea cases in the United States and Europe, many are wondering if there is a link between snoring and cancer. Will snoring actually put you at risk of developing cancer? Or is snoring a symptom of one of the many types of cancers? 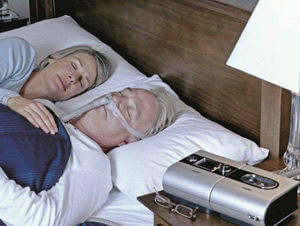 The University of Washington was involved in a study that was linking snoring and breast cancer. Assistant professor, Amanda Phipps, who teaches epidemiology at UW, worked with her students to make headway on linking the snoring epidemic as an early sign of cancer. The study specifically related to breast cancer, since it’s difficult to compare snoring to the thousands of types of cancers out there – they figured they would just focus on one. UW partnered with the Women’s Health Initiative so she could analyze patient data from over 15,000 women that were diagnosed with breast cancer at one point or another. The results were shocking. Phipps and her research team found that a woman with breast cancer who snored was twice as likely to die faster than one who did not snore. Women’s Health Initiative -What is it? The WHI is a long-term, national medical group that studies women over the age of 50. The group of women has consented to provide researchers with data and information including their diet, lifestyle, hormone therapy involvement and any other medical information researchers need in order to better understand diseases. There are over 100,000 women in the organization, all in post-menopausal stages of life. Their data helps medical professionals treat diseases, plan medical costs, and distribute data to doctors and researchers involved in clinical trials. Another study that was done on lab rats, showed evidence that low oxygen received in the brain started the growth of tumors. Snoring is a symptom of sleep apnea, a dangerous sleep disorder, that limits the amount of oxygen to all parts of your body, but most importantly the brain. The University of Florida Health Science Center published an article in 2012 saying that people that suffer from sleep disorders such as sleep apnea or obstructive sleep apnea are 5 times more likely to die of cancer than those who experience normal breathing patterns during sleep. The worse the sleep apnea condition is, the more likely they are to develop and die of cancer. Your body needs oxygen to survive. If you are not getting a constant flow of oxygen into your body while you sleep, the carbon dioxide levels in your blood rise while the oxygen levels decrease. After a few minutes of this occurring, a person can actually die. With sleep apnea, your brain wakes up your body when the carbon dioxide levels get too high. This is when you awake and gasp for a breath of air, and sometimes you can’t even feel it because you are still asleep. Your bed partner will most likely hear this gasp for air and will nudge you or wake you to tell you that you are snoring loudly. 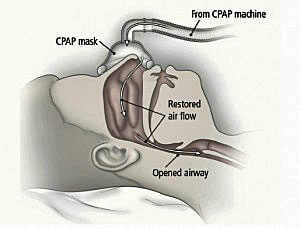 When this occurs hundreds of time during the night, it’s referred to as obstructive sleep apnea. It’s very harmful to the body because it’s not providing oxygen to the brain. Several harmful side effects of the lack of oxygen are listed below. SI, or systemic inflammation, occurs when inflammatory cytokines are released from your bodies immune system. Cytokines in simple terms are growth cells. Your immune system is made up of healthy cells that fight off infection and keep your body healthy. When oxygen is deprived of your body, possibly due to untreated sleep apnea, cytokines that are pro-inflammatory, are released from the immune system and can potentially carry inflammation from one part of your body to the next. When your body is inflamed, it can make you intolerant to certain chemicals, medicines, and foods. It can lead to a poorly functioning immune system and other diseases including cancer. If Systemic inflammation occurs and remains untreated, it could potentially form into chronic inflammation, which is also related to the lack of airflow throughout the body. This means the inflammation has not been treated or has not gone away. Inflammation is the body’s natural treatment of keeping you healthy and is a response directly from your immune system. If there is an infection or the body needs to rid itself of something, the area becomes inflamed. The inflammation caused is actually the body’s way of protecting you. If Chronic inflammation persists for months or years, the body starts to work overtime on healing the affected area. When this occurs, it can lead to serious conditions like rheumatoid arthritis, hay fever, heart disease, and cancers. Another risk factor for sleep apnea and having interrupted sleeping patterns is forming oxidation. Oxidation is another side effect of chronic inflammation. When oxidation occurs, it is referred to as oxidative stress. This stress wears down the immune system due to lack of oxygen and may allow pathogens and harmful cancer cells to grow and spread through the body. Is Sleep Apnea and Snoring a Side Effect of Cancer? snoring until they had cancer. It’s difficult for researchers to determine whether or not cancer treatments cause snoring or not because there are so many side effects from the treatments in general. It’s possible that a side effect could trigger snoring, thus it is unrelated to actual cancer. In conclusion, it’s quite possible that snoring and sleep apnea may be related to cancer and could cause cancer in some instances. More research will provide hard data to answer this question. In the meantime, it’s important to address your snoring issues. Since snoring is one of the most noticeable symptoms of sleep apnea, you should schedule an appointment with your doctor to determine whether or not you have sleep apnea. You will most likely be referred to another doctor who will administer an overnight sleep study. The sleep study will monitor your brain activity, heart rate, and other data to determine whether or not sleep apnea is present. 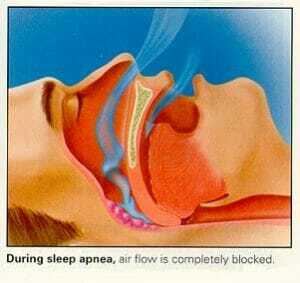 From there, your healthcare professional will present your options for treatment, if sleep apnea is diagnosed after all. It’s a precautionary measure to go to the doctor now, especially if researchers are already linking sleep apnea and cancer. Next post: Where Does Snoring Come From and How to Choose a Product That Stops it?